For their development, plants need light, water, carbon dioxide, and warmth. Equally the nutrients in the soil play an important role, including nitrogen, phosphor, and potassium. The plant absorbs these nutrients over the roots. 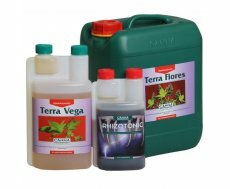 For an optimal plant care, the selection of the plant substrate, respectively the improvement of the soil by choosing the suitable fertilizer is essential. Indoor plants obtain new nutrients trough regular transplanting into fresh substrates and the according fertilization. 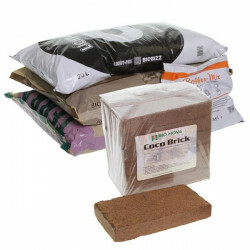 Also in the yard it is necessary, to provide the soil with nutrients. Due to the conditioning and harvest, raw materials are taken from the soil, which then are missing during the natural rotting process and therefore cannot contribute to the nutrient balance. 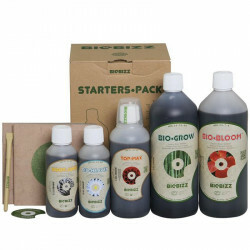 There are several fertilizers available to compensate this nutrient deficiency and to stimulate a healthy plant growth. 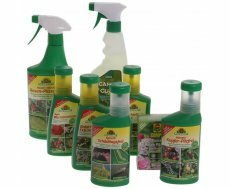 Sometimes, even the optimal plant care cannot prevent that the plants get infested with pests, vermin and diseases. Plant lice, mealy bugs, spider mites, and pest flies are the most common ones. If the plant is infested, symptoms show on the leaves and blossoms. Now a fast action becomes necessary to prevent the plant from permanent damage. Also snails and rodents, e.g. voles, represent a threat for outdoor plants. A single snail is able to completely destroy an entire salad bed. Often to be found in the garden as well, are Mycosises, of which the most common known are the powdery mildew and the downy mildew. To prevent and to fight diseases and vermin, we offer a multitude of products. The regular cutting and trimming of the grove and indoor plants contributes to a good plant care as well, since it stimulates the plant growth and boosts the blossom.